Set 8525 Kanohi (and its European counterpart, 8530 Kanohi) was a collectible set released in 2001. 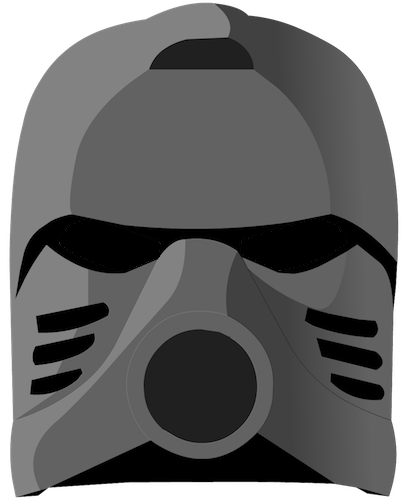 It contains two randomly packed Kanohi Masks, one Great and one Noble. The Kanohi set includes one randomly packed Great Kanohi Mask, one randomly packed Noble Kanohi Mask, and pieces needed to make a head to mount them on (a headpiece, a randomly-colored eyepiece, a three-stud axle to mount the head on, and a second, spare three-stud axle). The set consists of six pieces in total. Set 8525 was released in North America, and came in a box. Two additional versions were released in Europe, one in a box and one in a polybag; the polybag could come in several different eye colors on the packaging, referencing the eyestalk colors of the set. Both of these releases had the set number 8530. 8525 and 8530 Kanohi scored a total average of of 64.5 on Brick Insights, indicating negative reviews. However, there were only two recorded reviews, and set does not convey the traditional building experience. See: Collectibles#Reception. This page was last edited on 7 April 2019, at 01:26.